Applications Reviewed on a Rolling Basis! 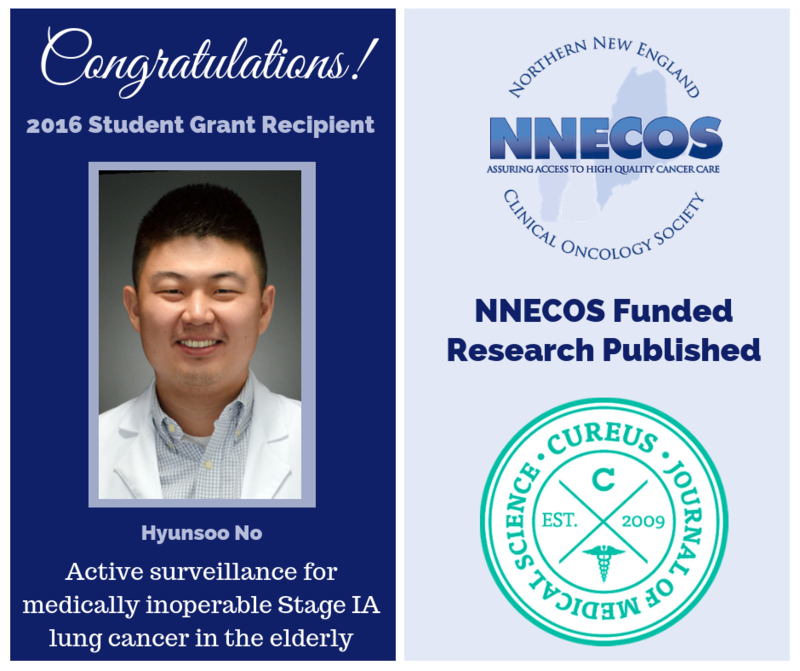 Congratulations to Hyunsoo No on the recent publication of his NNECOS funded research on active surveillance for medically inoperable Stage 1A lung cancer in the elderly. If you haven't seen it, you can also watch Hyunsoo's video where he talks about receiving the NNECOS Student grant to fund his project! 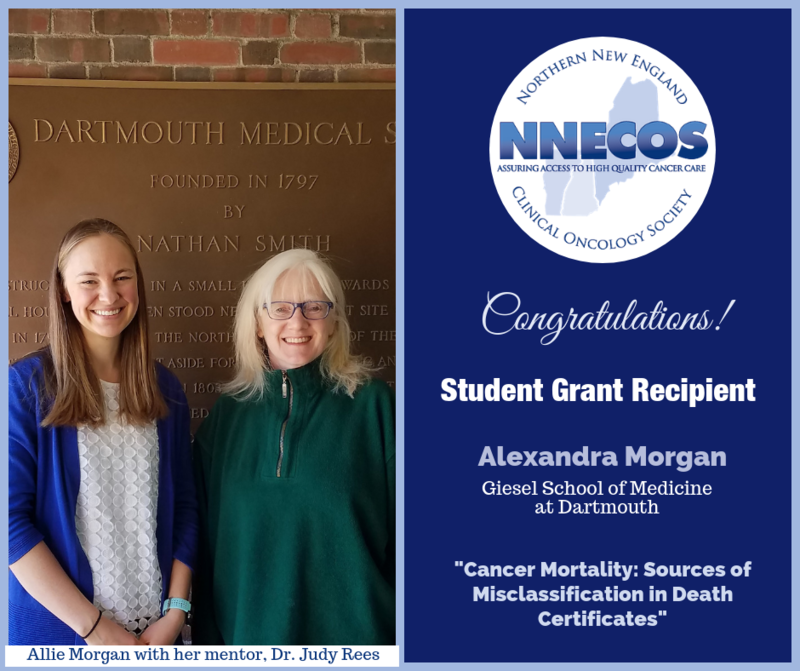 Ally and Andrew bave a podium presentation on this project at the 2019 NNECOS Spring meeting March 23, 2019. 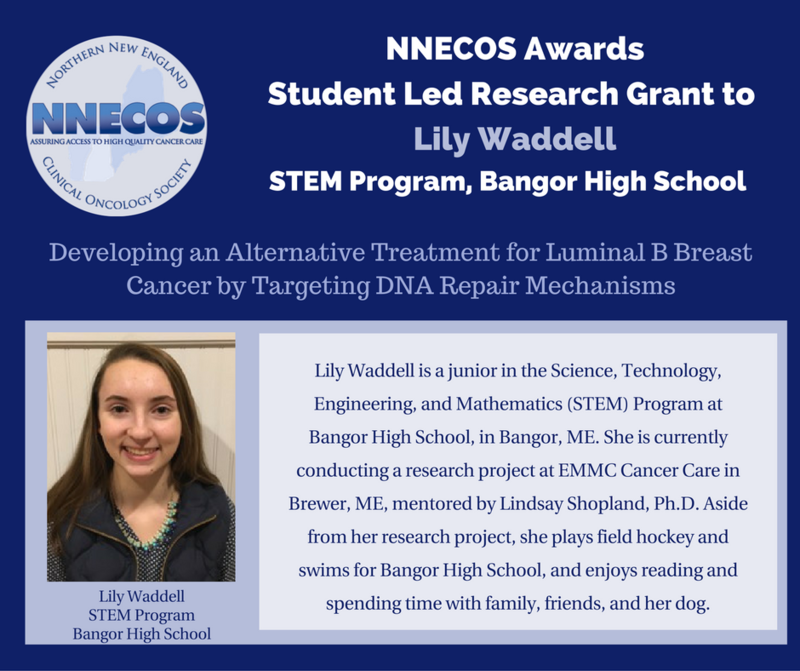 Meet NNECOS Student Led Grant Awardee, Lily Waddell. Lily discusses her project, Developing an Alternative Treatment for Luminal B Breast Cancer by Targeting DNA Repair Mechanisms, funded by a NNECOS Student Led Research Grant! 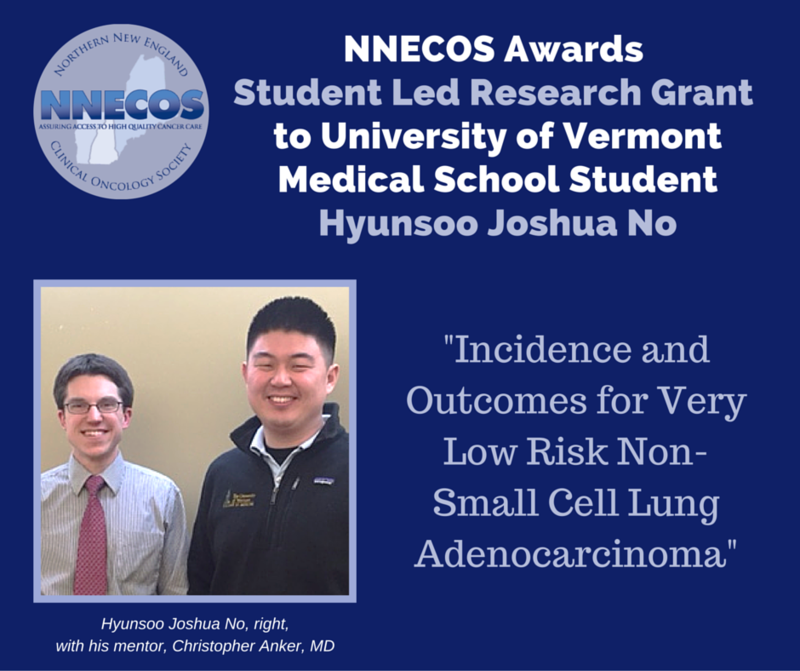 Meet grant recipient Hyunsoo No, whose project Incidence and Outcomes for Very Low Risk Non-Small Cell Lung Adenocarcinoma was funded in the Spring of 2016. $7,500 in Funding Available Annually! 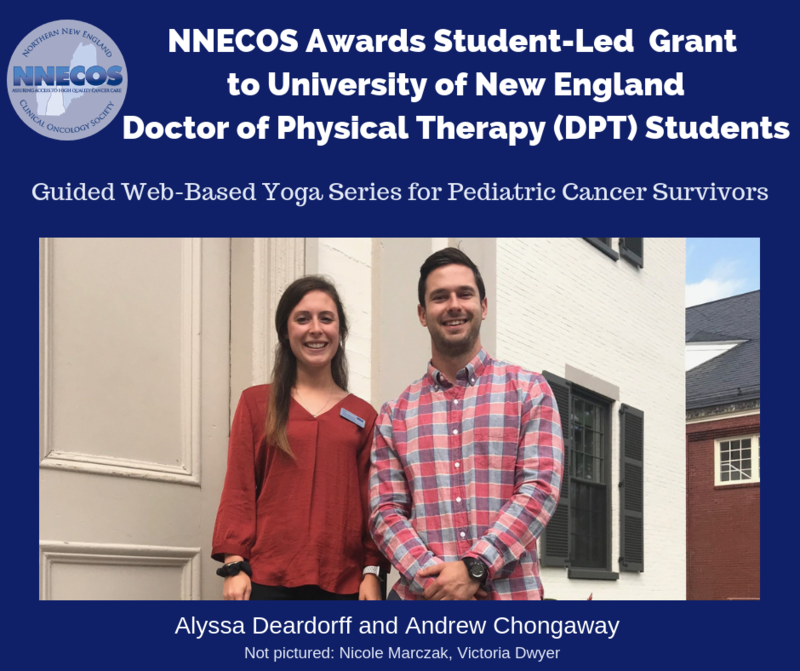 The Northern New England Clinical Oncology Society is seeking Student-Led funding proposals for projects of value to the entire Northern New England community of cancer care providers and cancer survivors. The society seeks to award one or more project grants to worthy proposals, up to a total of $2,500. Eligible candidates will be health care students in Vermont, New Hampshire and Maine in good academic standing with faculty mentor support. Projects should be in alignment with the grant goals of addressing issues of cancer survivorship and/or improving cancer awareness. 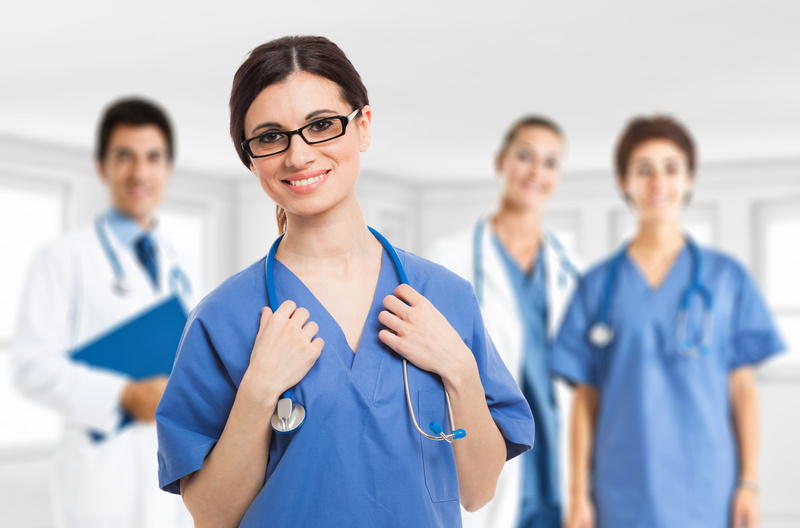 Preference will be given to projects promoting interprofessional collaboration. 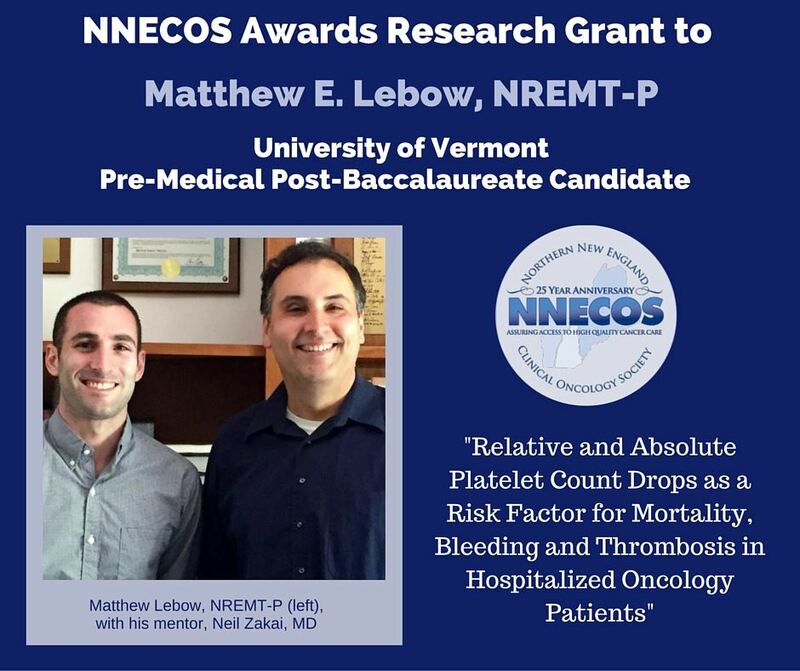 Awardees will be notified within 30 days of application, be required to submit progress reports to NNECOS, and may be asked to present a final report of the research to the NNECOS annual meeting. Please note NNECOS is unable to fund indirect costs or investigator salaries as part of the grant budget. Funds for services of collaborating facility employees required in the operations of a project (i.e. research coordinator, statistician, etc.) will be considered, but should not exceed national averages for their role. 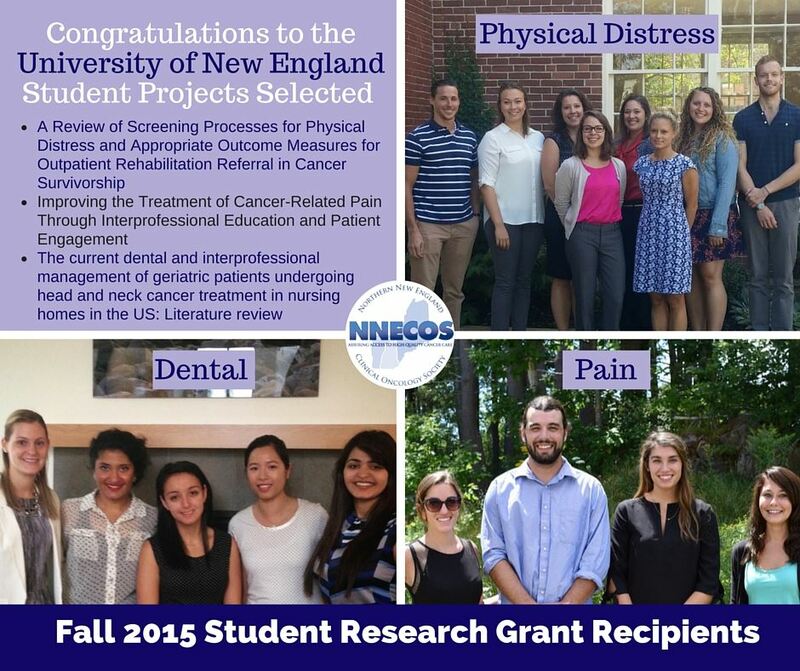 NNECOS Awards Three Grants in Fall Cycle! Learn more about these funded projects.